Have you taken pictures without holding the camera in the right orientation? 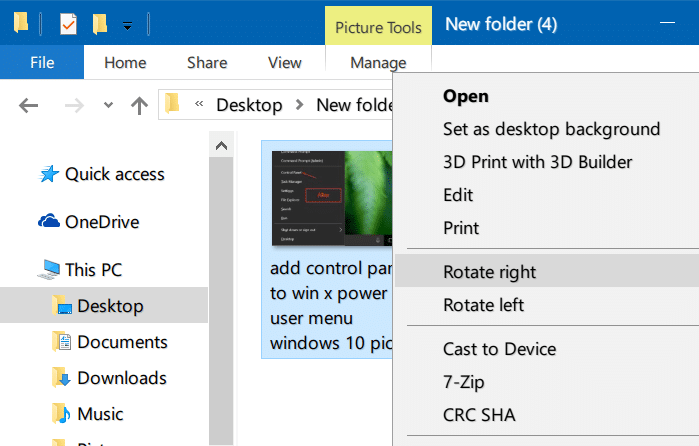 Want to rotate one or more pictures on your Windows 10 PC? 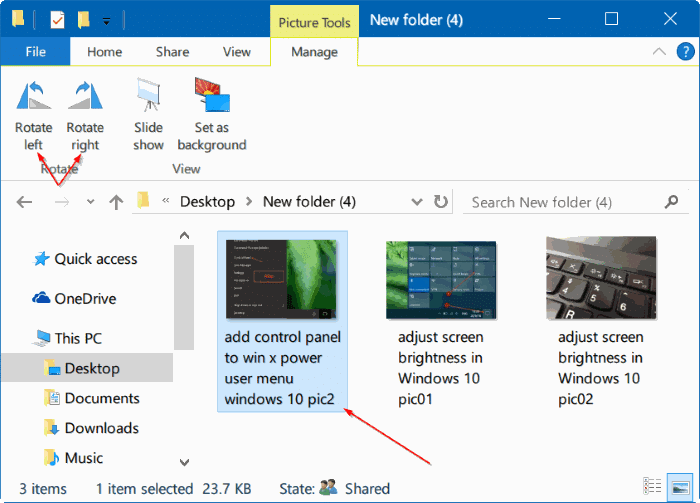 Here is how to easily rotate pictures in Windows 10 File Explorer without opening picture files. Most of us know how to rotate a picture file in Windows operating system by opening the image file in a picture viewer and then clicking rotate options. But many of us are not aware that we can rotate a picture in Windows Explorer or File Explorer without opening the image file in any image viewing software. If you have one or more picture files in one of the folders on your Windows 10 PC, you can rotate clockwise or anti-clockwise with ease. The good thing is that you can even use keyboard shortcuts to quickly rotate picture files. Follow the directions in given below methods to easily rotate pictures in Windows File Explorer. 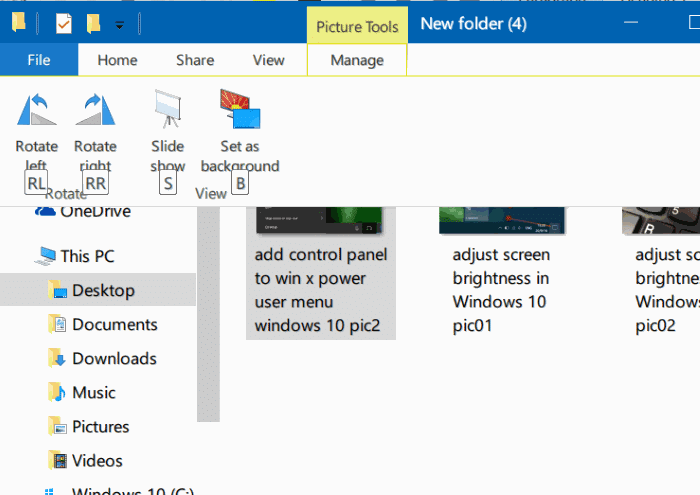 Step 1: Open up File Explorer (Windows Explorer) and navigate to the folder containing picture files. Step 2: Select an image that you want to rotate by clicking on it. Note: You can rotate multiple pictures at once using this method. To do so, please select all picture that you want to rotate and then proceed to the next step. Step 3: Click the Manage tab and then click Rotate left or Rotate right button to rotate the selected picture file. That’s it! And if you prefer to use keyboard shortcuts to rotate pictures, after selecting picture files that you want to rotate, press Alt key, press JP, press RL to rotate left and press RR to rotate right. Step 1: Select picture file(s) you want to rotate. Step 2: Right-click and then click Rotate right or Rotate left option. 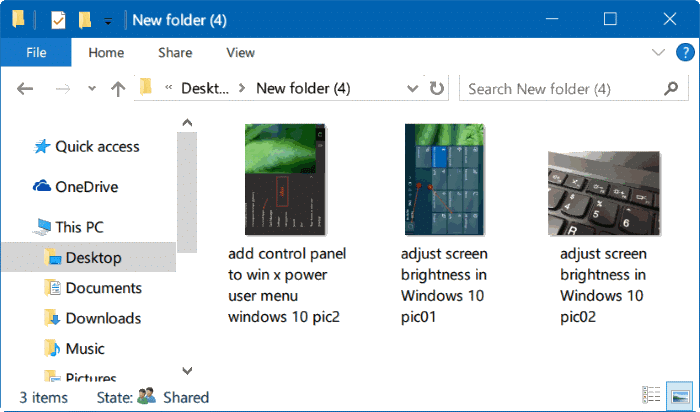 Our how to start picture slideshow right from File Explorer in Windows 10 guide might also be of interest to you. Use Ctrl + F1 hotkey to expand the ribbon. I can’t even find Windows Explorer or see anything like the above screen shots, what am I doing wrong? Thanks, I have always wondered if there was an easy way to rotate pictures.